This article is sponsored by Grasscity, one of the largest online headshops with a massive following of over 650.000 users on their forums. Taking cannabis users beyond traditional smoking methods, concentrates have become the new way to enjoy the best your bud has to offer. A little bit goes a long way, making concentrates comparatively priced to cannabis flower, and they typically offer more potent effects and a cleaner taste. 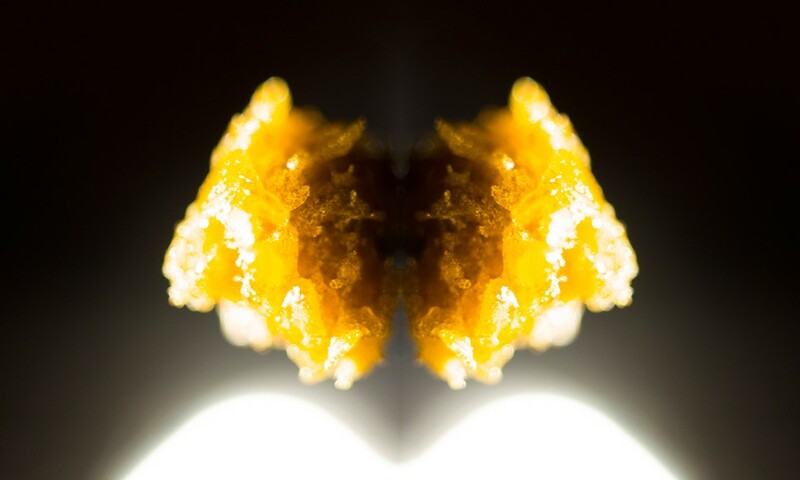 Most dispensaries will carry a range of concentrates from shatter to budder, but if you want to make the switch from flower to concentrates, you’re going to have to get yourself some new glass. 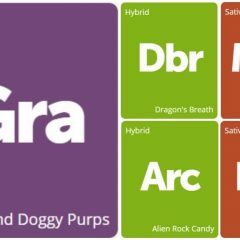 From pipes to bongs, there are so many glass products out there that give you a great smoking experience, and vapour bubblers are no different. Here are some of the best units available at a variety of price points, giving you no excuse but to up your cannabis game, whether you’re smoking recreationally or medically. Since 2009, Hitman Glass has been blowing some of the most unique glass pieces on the market. Now located in California, this innovative glass company was formed by Dougie Fresh and Erik Weissman in Massachusetts after they teamed up with Steven Bates and brought his artistic designs to the masses. After noticing a shift from flower to concentrates, Hitman Glass swarmed the market and created some of the best units out there, with quality being their priority. One of these devices is the Slum Gold x Hitman Vapour Bubbler, which not only looks incredible, it offers a cool, filtered smoking experience. Like this bubbler but looking for something (slightly) more reasonably priced? Check out more amazing Hitman products. Hamm’s Waterworks Glass is somewhat of a household name in the vapor bubbler industry. The brand has won numerous awards for their designs, which include the impressive Tiny Sputnik Recycler Vapor Bubbler. This unit is unique due to its Exo-Diffy percolator, which breaks up the smoke and directs the airstream with precision. Smoke swirls upwards through the diffuser downstem into the round top chamber, where it gets pulled back down again through the square recycler connection tube. This tube then spins the water around like a cyclone at high speed for unparalleled filtration and cooling. Intrigued? Browse more science experiment-worthy glass by Hamm’s Waterworks. Many oil rigs are simply functional and carry very little weight aesthetically. However, Jerome Baker not only has an appropriate last name for this industry, but also a talent with glass. He’s taken inspiration from the oil rig theme to create robot rigs that both look incredible and work like a charm. This model (one in a series of four altogether) comes with a 10mm domeless nail to complete your package. Jerome Baker has done it again with another intricate, yet functional, robot oil rig. The difference? This one is built with a honeycomb percolator that better filters the smoke for a cool, tasty hit. These units are all made in the USA and come complete with a quartz nail. While expensive, these robots are more than just your average rig—they’re truly pieces of art. iDAB, currently located in Southern California, is the premium blower of top-quality German Schott Boro. Their signature product is the iDab Glass Sherlock Vapour Bubbler, which comes in multiple colours and is a great small concentrates unit. Be warned—the unit does not come with a nail, but at such a great price, it’s a hard deal to pass up. Not quite what you were looking for? iDAB products come in all sorts of shapes, sizes, and price ranges. This unit was awarded the best glass piece award at Seattle’s 2012 High Times Cannabis Cup, and it’s easy to understand why — it looks like something straight out of a science fair but is guaranteed to give you a great high. Also made with German Schott Boro glass, the double showerhead perc filters your smoke through lots of bubbles for a cool, clean hit. This kit comes with everything you need to dab with, including a glass concentrate nail. Think all vapour bubblers are tad pricey? Think again! Four Twenty has created a small bubbler at an awesome price of just $70. This unit is blown with borosilicate glass for durability and easy cleaning, and includes a honeycomb percolator and nail. For those on a budget, there has never been a better time to get your hands on this device. Four Twenty has kicked it up a notch with the Vapor Bubbler with Slitted Drum Perc. The design is similar to the honeycomb unit in size and materials but features a unique drum perc for filtration. This unit can be used with oils, concentrates, and flower due to its interchangeable herb bowl and vapor dome. Four Twenty has priced their products very sensibly for those looking to cut costs, so check this one out before heading to the checkout. Blaze Glass has blown the most affordable unit on this list with the Oil Recycler Bubbler at just $39.95, but don’t think that means this glass is any less useful. The smoke travels through the diffuser, which breaks it up into bubbles in the main chamber and then moves into the recycler, where it is filtered again before being expelled cool, tasty smoke. Adding to the value of this unit is the included concentrates nail, making it a great unit for any beginner dabber. With market trends showing a movement towards cannabis concentrates, dabbing is quickly becoming the Next Big Thing in marijuana consumption. 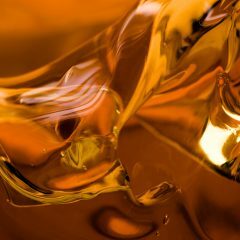 Concentrates can offer a more powerful effect than traditional bud, meaning there has never been a better time to get the most bang for your buck when purchasing an oil rig. Whether you’re looking for your first piece or you’re a seasoned dabbing pro, find your perfect vapor bubbler solution today at the Grasscity Shop and enjoy a new and super effective way to consume your cannabis. 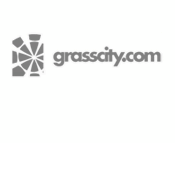 Grasscity is one of the largest online headshops with a massive following of over 650.000 users on their forums. YEA WE KNOW, MY SCREEN GOT FOGGY AND STINKY! !